TL;DR Facebook, Adwords and Yahoo all have a habit of showing different figures from those calculated by Google Analytics, creating a serious amount of confusion. Each one of these tools has its own way of tracking, aiming to report the best selection of figures for every campaign. Due to this, Google Analytics is preferred by most advertisers for its seemingly unbiased* judgment. The indisputable advantage of Google Analytics is its ability to track and compare multiple channels. However, using cookies for tracking can cause issues. A cookie is a text file inserted in users’ browsers when a website is loaded . They are able to identify the source of the visit for over six months since the first visit. Every time the user comes back to the website, the cookie is activated and sends a file to a website server. Every browser (Including smartphones, laptops and tablets) has its own cookie. Even if the user him or herself does not change, Google Analytics handles visits on different devices as two (or more) unique visits, failing to fully reflect on the results of the ad. One of the greatest advantages of using a Facebook pixel for tracking conversions is that it directly attributes clicks to a user rather than the aforementioned individual cookie (monster). So it is possible to track conversions and target users across various devices and browsers without affecting the metrics. Facebook attributes the final conversion to the last click on the ad. In case if the ad is not clicked, Facebook will attribute the conversion to the last ad displayed to the user even if the user clicked through the ad on a smartphone and the conversion was completed through a desktop two hours later. Unfortunately, Google Analytics is falling behind in terms of this vital differentiation. Tracking with Facebook has its downside too. The social network will always attribute the conversion, even if it only plays a minor role in the final purchase. The user does not even have to click on the ad. Just viewing the ad is enough for Facebook to attribute the final conversion to the success of the ad. This definitive tracking can be explained by a 1/28 attribution window found in basic settings on Facebook. It ensures that the conversion is attributed to the ad for one day after one views it or 28 days after one clicks it. Click on the Columns tab -> Customize columns (see image). Select attribution windows on the bottom right. You can pick a number of options at a time, allowing you to compare values for each attribution in statistics. Despite the obvious advantages of tracking through a Facebook pixel, it is still impossible to track the real return at all times. 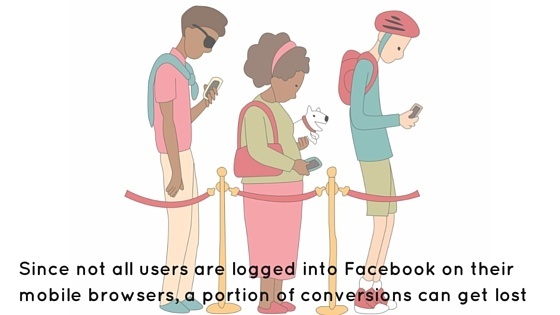 Caused by the fact that Facebook lacks information about users who are not logged into their accounts on a smartphone browser, using Facebook in the native app only, thus preventing Facebook from attributing the conversion to the ad. Consider this scenario: a user is choosing a washing machine. He clicks on a paid ad on Facebook, but does not purchase it immediately. As a result the user gets into an AdWords re-marketing audience and the very same washing machine ad is displayed to him when he is reading a website article the following morning. After coming home from work the user consults his wife and finally makes a purchase through a Seznam ad on the his wife’s computer. The credit for a single conversion then goes to Facebook, Adwords and Seznam. 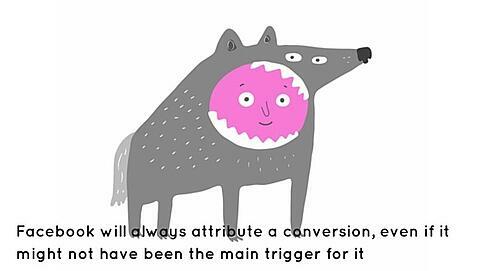 While Google Analytics attributes the conversion only to the one final paid click. 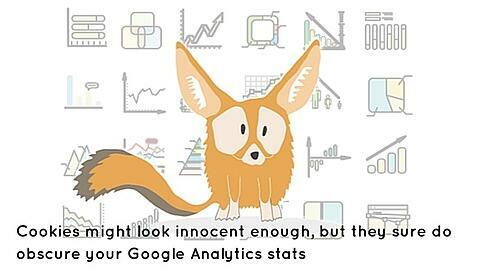 Therefore, if you consult Google Analytics exclusively, the value created by Facebook ads can be left out of the report. The table below compares revenues of an e-shop for individual channels which are reported by AdWords, Sklik and Facebook native tracking. The last column states the turnover of the three channels as provided by Google Analytics within the same period of time. Cross-device conversions are not evaluated. No doubt there may also be additional technical issues or discrepancies caused by poor implementation of tracking codes on the website. Google Analytics is an extremely valuable indicator of ad development trends despite these imperfections. For added precision, one needs to consider the sum of statistics, and cross-reference them from a detached perspective for a longer period of time. So all is doom and gloom and none of our favorite tools seem to track conversions with absolute accuracy . No need to panic- thankfully we are not the only ones to have noticed this and a lot is already in the works to help marketers in need of better stats. Facebook has Recently Launched a New Product Called Atlas. Its greatest advantage is an ability to track views and conversions in other channels outside Facebook . Although to use it, you would need to tag every ad separately, making it a relatively time-consuming (but worthy) venture. Atlas can also provide a solution to cross-device tracking. Similarly to a Facebook pixel, it will work with the Facebook ID. So far, Atlas has been released to a very limited group of advertisers. But here at ROI Hunter we strongly believe that Atlas has the potential to revolutionize evaluation processes for digital campaigns once it is released to the public and we can’t wait to test it together with our clients. The real impact of Facebook advertising on your revenues can also be deducted through Facebook’s new Conversion Lift. It uploads conversion data and compares the results of the same ad on two randomized test audiences: one that sees the campaign and one that does not. When the control group is juxtaposed to the test group, the advertiser receives a clear picture of a ‘lift’ in value created by a particular ad. 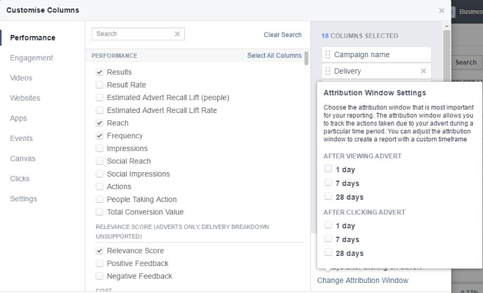 Facebook will make results of Conversion Lift available in Ads Manager, hoping to solve the issues of multiple devices, clicks vs. exposure, and improve the efficiency of ad testing and reporting overall. A new version of Conversion Lift enables marketers to compare ads’ performance and boasts other unique features aimed at ad optimization. Similarly to Atlas, Conversion Lift is unfortunately only available to a very limited group of the biggest advertisers at the moment, but this will soon be changed. To be the first to find out about new Facebook Ads developments and to try them out on the spot, sign up for our Free Trial here. One of the greatest advantages of using a Facebook pixel for tracking conversions is that it directly attributes clicks to a user rather than the aforementioned individual cookie (monster).